The contents of all material available on The Hindu FAQs are intended to provide useful information for its users. While The Hindu FAQs makes every effort to present accurate and reliable information in its Services, The Hindu FAQs does not endorse, approve, or certify such information, nor does it guarantee the accuracy, completeness, efficacy, timeliness, or correct sequencing of such information. Information in the Services may or may not be current as of the date of your access, and The Hindu FAQs has no duty to update and maintain the information, reports, or statements on the Services. Additionally, the information in the Services may be changed periodically without prior notice. 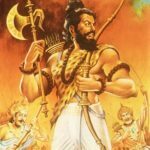 The Hindu FAQs collect information from various authors, housewifes, students, Yahoo Answers, Quora, About.com, Ask.com and other sources. The Hindu FAQs does not warrant or assume any legal liability or responsibility for the accuracy, completeness, or usefulness or originality of any information or product represented on this site. The Hindu FAQs may also provides external links to other websites. The Hindu FAQs makes no representation whatsoever regarding the content of any other websites that you may access from the Services. The Hindu FAQs has no control over the content of these websites and cannot guarantee the reliability or accuracy of any information linked externally. The Hindu FAQs provides, through its contents, professional information (for example, medical, legal, or financial) for informational purposes only, which should not be construed as advice. No action should be taken based upon any information contained in the Services. You should seek independent professional advice from a person who is licensed and/or knowledgeable in the applicable area before acting upon any opinion, advice, or information contained in the Services. The Hindu FAQs may contain information on many medical topics; however there is absolutely no assurance that any information touching on medical matters is true, correct, or precise. The medical information provided in the Services is of a general nature and cannot substitute for professional medical advice, diagnosis, or treatment. The Hindu FAQs may contain information on many legal topics; however there is absolutely no assurance that any information touching on legal matters is true, correct, or precise. The legal information provided in the Services is of a general nature and cannot substitute for professional legal advice. The Hindu FAQs may contain information on many financial topics; however there is absolutely no assurance that any information touching on financial matters is true, correct, or precise. The financial content in the Services is provided for your personal information only, is not intended for trading purposes, and cannot substitute for professional financial advice. When using this site, you may find many links to 3rd party Internet sites. The Hindu FAQs is not responsible for the content or availability of these 3rd party sites. The Hindu FAQs does not warrant or guarantee the products, services, or information found on external or 3rd party sites. The Hindu FAQs is a site which works on questions and answers based on Hinduism. 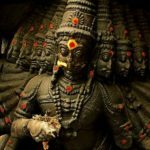 The Hindu FAQs collect information from various authors, housewifes, students, Yahoo Answers, Quora, About.com, Ask.com and other sources. The Hindu FAQs gives proper credits to the content as well as the images used by us. If we don’t find any original owner, we just write “To the original owner” in credits section. If You think any of the article is copied and it should not have been, or Not have enough credits, Please mail us. The Hindu FAQs is an Information site about Hinduism and Hindu Dharma. Our motto is to spread the religion and the stories, Articles and Ideas of Hinduism as far as we can. So you can copy any article from The Hindu FAQs. Represent as it is, change, Modify, Do whatever you want to do, At your own risk. We expect a pingback to the perticular article. That’s it.